Construction begins this week on the intersection near the 99 Restaurant in West Concord. 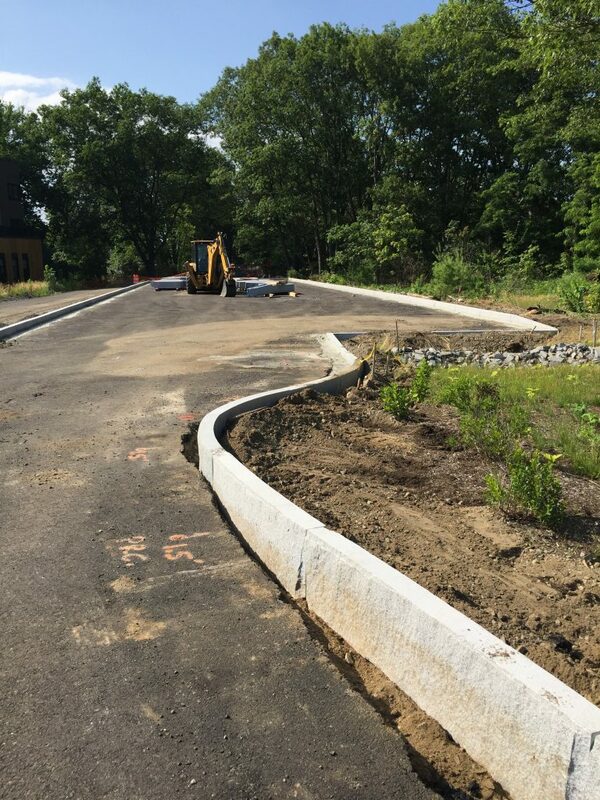 In the past few weeks, work has continued on the trail in Concord with landscape plantings and work on the parking area near downtown West Concord (see photo below). Please note that Phase 2C (Concord) of the trail is NOT open. It is unsafe to enter an active construction site. This section of the trail is scheduled to open in spring 2019. Please be advised that MA-DOT’s contractor for the Bruce Freeman Rail Trail Project, DW White, will begin intersection improvements at the intersection of Commonwealth Ave and Main Street on Monday, 7/16/18 from 9AM to 4PM. The work is expected to last through the month of August with intermittent interruptions. Please note that this phase of the project will cause localized delays and seek alternate routes, if possible. As schedules are provided to the Town from the State (Bi-weekly) we will be able to provide more information throughout the duration of this work. Please call CPW- Engineering Division 978-318-3210. ‹ Updated Map with Parking and Restroom locations.